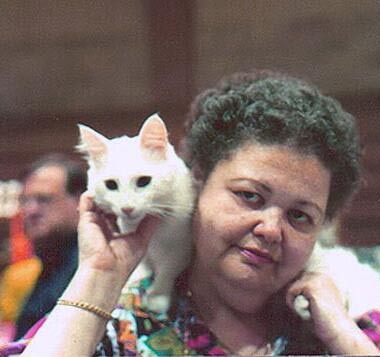 Barb Azan and Azima Timsal Zarif, circa 1979. This site contains information about the pedigree honesty and accuracy of certain registered Turkish Angora cats, which belonged to the late Barbara Azan of Azima Turkish Angoras. These pages will explain which Azima cats were present in Barb's home when she passed away on November 17, 2008. We will then explain the process that was used to identify and register the cats in question, with supporting documents. The purpose of this site is to clear up misinformation that has been distributed.